Over a legendary career, he has played many larger-than-life characters — the charming killer of Badlands; the troubled special-ops officer of Apocalypse Now; the leader of the free world on The West Wing. 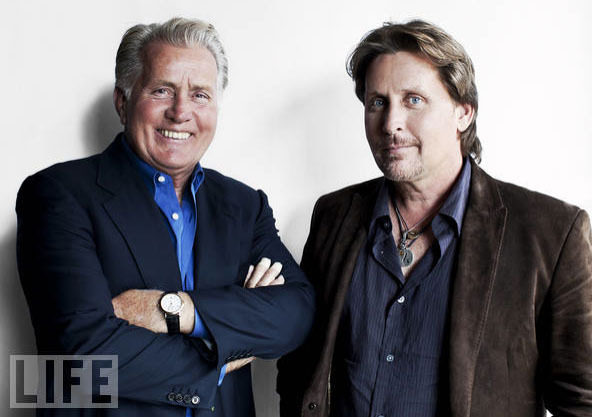 But at 71 years old, in a fickle business that puts a premium on youth, Martin Sheen has found that a meaty and meaningful lead role is hard to come by. Good thing, then, that filmmaking runs in the family. Sheen’s son Emilio Estevez, the actor-turned-writer/director whose past work includes the Golden Globe-nominated RFK drama Bobby, penned a new movie, The Way, especially for his dad: Opening in theaters October 7, it’s about a grieving, closed-off father experiencing new adventures on the Camino de Santiago, a winding, 500-mile pilgrimage route that ends at a cathedral in Galicia, Spain (where Sheen and Estevez have real family roots). For 40 days in 2009, Estevez directed his dad in the movie’s lead, the two of them and a fleet crew shooting in stunning, spiritual locations in France and Spain. Joining them for about a week in Pamplona and its surrounding towns was LIFE.com editor-at-large Jeff Vespa; here, through Vespa’s photographs and Estevez’s commentary, go behind the scenes of The Way.